BEDLINER PLUS! is a two component textured coating designed for truck beds and any other high impact areas. This aliphatic urethane coating provides superior adhesion, excellent film build, high impact resistance along with outstanding flexibility. One kit will cover up to a 6-1/5 ft. truck bed @ 15 mil. Dispenses using #1688 Applicator Gun. Bonds well to the following properly prepared substrates: existing paint, steel , aluminum, wood, concrete, fiberglass, SMC. APPLICATIONS: Truck bedliners, undercoating, rocker panel protection, floor pans, trunk lining, truck fender protection, dump trucks beds, recreational vehicles, emergency vehicles, utility trailers, horse trailers, anti-skid floor applications, decks, steps, golf carts, industrial equipment and any high impact areas that need protection! 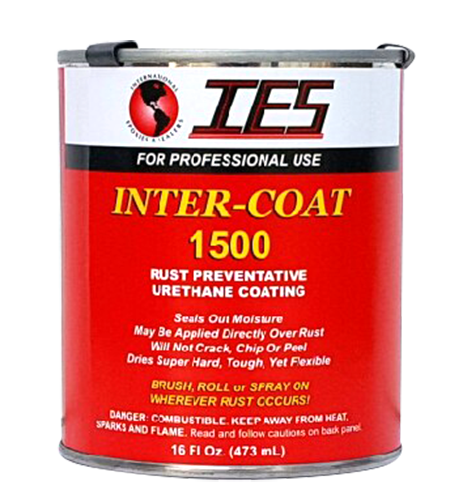 INTER-COAT 1500 is a rust preventive urethane coating formulated to apply directly on rusted metal, properly prepared bare metal, aluminum, galvanized steel, stainless steel, fiberglass and concrete. Drys to a hard, tough yet flexible non-porous finish. Will not crack, peel or chip. 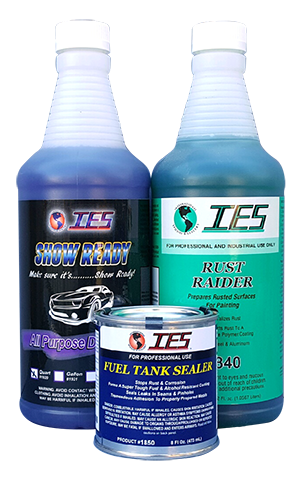 Permanently seals out moisture to prevent rust from occurring. Ferrous metal will not rust if you can keep moisture away from it. 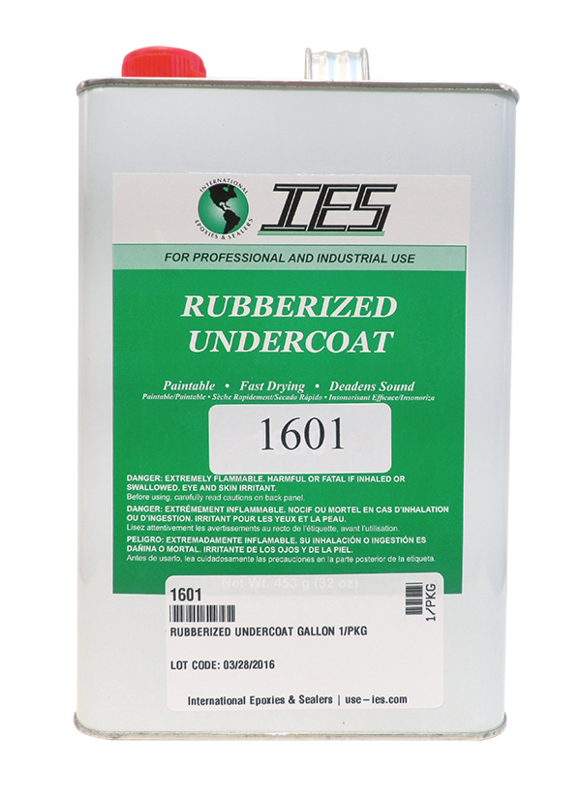 When used as directed INTER-COAT 1500 provides a non-porous barrier that encapsulates the surface to protect against moisture, chemicals and abrasion. INTER-COAT 1500 is UV sensitive. 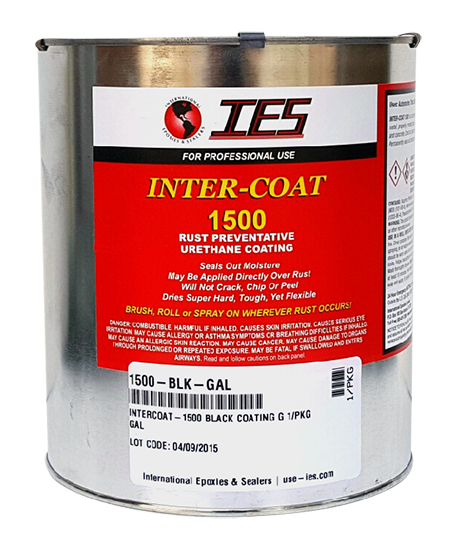 For applications directly exposed to ultraviolet light, INTERCOAT1500 should be topcoated with a UV protective coating. A fast drying rubberized coating formulated with polymer resins to protect against rust, corrosion and to deaden sound on undercarriages, doors, fenders, trunks & hoods. Paintable. INTER-WAX is a great wax-based, anti-corrosion, rustproofing clear coating. 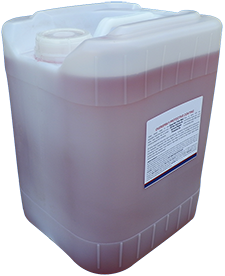 Can be used as a rust protector in car body cavities as well as a general corrosion protector on machinery, parts and tools - wherever a rust preventative surface is needed! INTER-WAX is water repellent and has excellent penetrating properties and does not run or drip when applied by a gun. Only a thin coating is needed, making it very economical. Can be sprayed on, rolled on, brushed on or dipped. Dries in about 2-3 hours, leaving a slightly tacky wax coating that has good temperature resistance up to 160°C (320°F). Emulates OEM Pattern for BMW, VW, Audi & Mercedes Benz. Manufactured under ISO 9002 Certification. Dispenses with #1685 or #1690 applicator guns. Premium quality, rubber based undercoating with outstanding adhesion and abrasion resistance. Dries quickly and is tack free. Use on undercarriage, doors, trunks and fenders. Good texture and is paintable. Seals and protects. Prevents rust. Fast drying. Sound deadening. Paintable - no bleed-through. Will not chip, crack or peel. Net Wt. 18 oz. 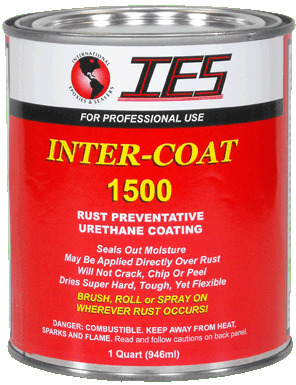 An economy grade rubberized undercoat that protects against rust and corrosion. 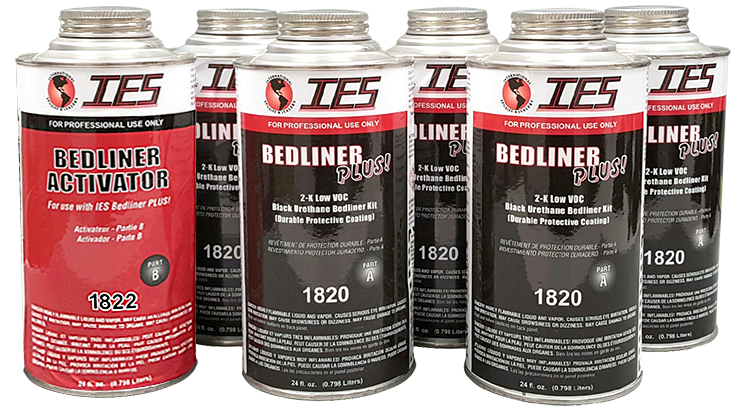 Quick drying, effective sound deadener, great for fender and panel replacements - NON-PAINTABLE. A fast-drying "ultra-fine" texture coating that has excellent adhesion. Blendable to a variety of both interior and exterior textures. Used on bumpers, step plates, mirrors, side mouldings, impact strips, dash/trim panels, etc. ULTRAFINE is not UV resistant and must be top coated. Matches OEM finish. Free of PVC's and Isocyanates! NOTE: Topcoating this product before it has fully cured will cause solvents to be trapped, resulting in coating failure. Total film build for this product should not exceed a maximum of 8-10 mils.! For thicker applications, #1680 is recommended. Please read the Technical Data Sheet before using this product. INTER-GUARD is a fast drying wax-based barrier film which flows readily into cracks and seams to protect metals from rust and corrosion. Offers long-term protection against weather and water. Will not crack, chip or peel. Will not attack copper, brass, steel or aluminum. Does not contain silicone. A water based, ready to use sprayable mask that dries to a non-tacky, clear plastic film to protect vehicle surfaces from overspray. Easy to apply with any conventional spray gun. Just wash off with water after finish is completely dried. Does not take the wax off the vehicle as solvent based products do. Not for use on fabric or fabric covered roofs. Usually dries in 15-25 minutes. Comes with plastic valve for easy dispensing. 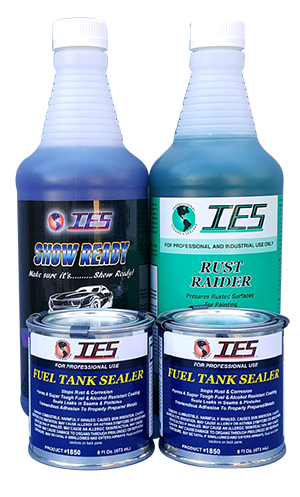 IES Fuel Tank Repair Kit contains the essential chemicals necessary to successfully restore metal fuel tanks. 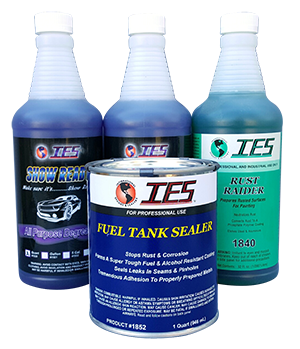 Great for: Motorcycle Tanks, Fuel Tanks, Diesel Tanks, Oil Tanks, Bio-diesel Tanks, Non potable water tanks and more! For steel and aluminum fuel tanks. Neutralizing the rust and etching the inner surface of the tank. Patching holes in the tank. BEDLINER PLUS! 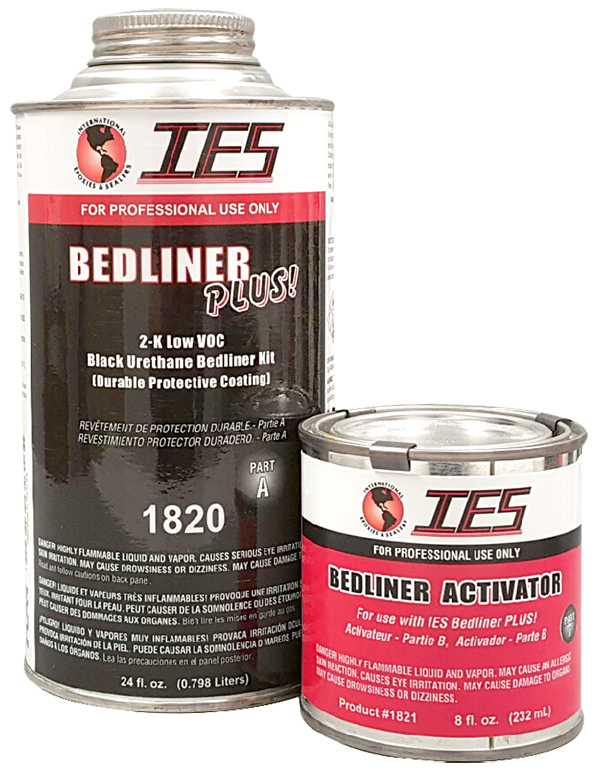 is a two component textured coating designed for truck beds and any other high impact areas. This aliphatic urethane coating provides superior adhesion, excellent film build, high impact resistance along with outstanding flexibility. This kit is a smaller version of our 1820-K150 kit - ideal for rocker panels, smaller repairs and when you need an extra quart for larger truck beds. Dispenses using #1688 Applicator Gun. Bonds well to the following properly prepared substrates: existing paint, steel , aluminum, wood, concrete, fiberglass, SMC.